If you are a parent, chances are you have a kid playing video games, or you have played some as well. Videos games are considered a form of art because they entertain and educate people. The gaming industry is growing at a rapid pace due to demand for the product from every corner of the world. When you compare to a few years back when people viewed gaming just as a simple computer game, the trade has changed. What are modern video games? Video games are seductive activities played on computers, smartphones, and tablets. Some are free on the internet and others are very expensive. For people who are not familiar with video games, they may view the activity as an exercise for lazy people. There are many types of video games namely console games, computer games, and mobile games. Console games are made for gadgets such as Xbox and PlayStation, computer games are played on Mac and PC, and mobile games are for tablets and smartphones. A few years back, video games used to be available on discs and purchased on high street stores. But today, you can easily download them straight to your computer, tablet or console. In some instances, they are free to download, but you may be asked to pay some money for extra content such as power when you are stuck. According to recent studies, the video game business has grown to become one of the most profitable industries around the world. It is even bigger than music and cinema combined. However, there is a big debate on the effects of digital games. One of the main reasons why most parents are against gaming is because kids can spend many hours playing a particular video game. They can even abandon studies or other responsibilities. With a video game, players are engaged physically and emotionally more than when someone is watching a TV or a movie. There are numerous positive and negative effects of video games. For instance, video games are believed to be responsible for the increase in childhood obesity. But not all effects of gaming are negative. Kids and teenagers can reap numerous benefits from video games. But they need to spend a reasonable amount of time gaming to enjoy the benefits. Video games have several effects on kids, teens, and adults. Even though most people think gaming causes people to behave aggressively in the real world, there are no studies to back up the claims. Below are some main benefits of video games. What are the effects of video games? 1. Social development – some people blame video games for poor social skills in children. But according to research, the opposite is true. Video games allow players all over the world to work as a team to solve particular issues. For instance, video games can be used to show kids with autism how to respond verbal and visual queues. Games are motivating and provide a stress-free opportunity for kids to improve their organization, planning, and self-monitoring. 2. Video games make people happy – one major positive effect of gaming is making people happy. But it is important to plan the amount of time you should spend playing video games. Since it is a good tool for happiness, it can easily turn into an addiction. 3. Coping mechanism – if you are dealing with emotional or physical pain, gaming can be the best coping mechanism. For instance, if you are suffering from depression, playing video games can help you escape the outside life. Also, if a kid is suffering from abdominal pain or a sore throat, let him or her play digital games to cope with the pain. 4. Helps to reduce stress – today’s children have the pressure of fitting in, performing well in school and meeting parent’s expectations. And to deal with this pressure, video games offer a nice avenue. 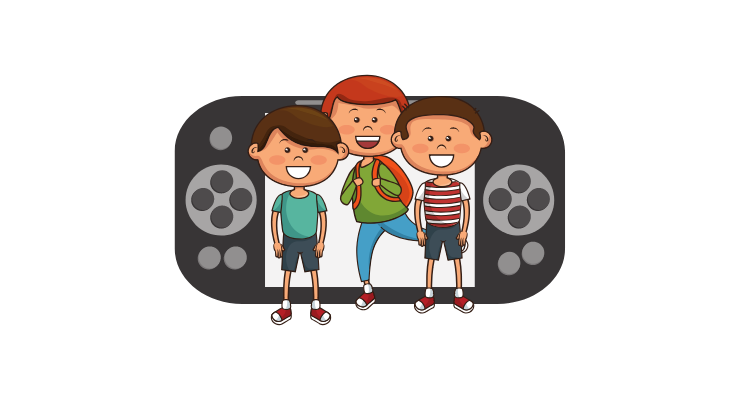 Kids can engage themselves in video games even if it’s for a short time. 5. Improved learning ability – another positive effect of gaming is that it enhances cognitive skills in children. Playing video games enhances reasoning skills, decision-making, and problem-solving skills. Modern video games require players to think and take control of the game. Before a gamer can proceed to the next level, he or she needs to solve riddles which require creativity and patient. The era of putting simple commands in front of you to move to the next level long gone. 6. Hand and eye coordination – consistent gaming can increase the kid’s dexterity that is good for performing everyday tasks, playing sports and other functions. Though there are many activities that can be used to enhance hand-and-eye coordination, most are not as entertaining and useful as digital games. 1. Addiction – one negative effect of gaming is that children and teenagers can be glued to the computer, smartphone or consoles for many hours. They can forget about the outside world and only think about playing the video games. The long-term effects can be very harmful. For instance, a kid can lose interest in outdoor games or studies. This can affect their health. 2. Health problems – another major disadvantage of playing video games is that it can lead to health problems. A person with constant exposure to gaming can become obese or suffer major life-threatening diseases. 3. Poor performance – spending long hours playing video games can affect your performance at work or in school. Most people love playing video games. From kids to teenagers and adults, gaming has become a hobby and a modern entertainment hub. Happily, contemporary video games are interesting, entertaining and educating. Also, the introduction of high-powered gadgets such as the Xbox and PlayStation consoles has transformed the gaming industry into a virtual playground. But just like any issue, the subject of video games will remain controversial. There is a fine line between the excessive amount of gaming and the healthy amount of gaming. As a responsible parent, it is wise to find moderation in everything. Banning video games completely might not be a good idea as it may deny your kids many benefits. However, it is important to monitor the kind of games your kids play. Always check the game’s ratings and do some research before allowing your little ones to play. Next Are Video Games Linked to Violence or Not?